First EarthScope Laser Strainmeter Installation Completed! A significant milestone has been reached for the Plate Boundary Observatory component of the EarthScope project. 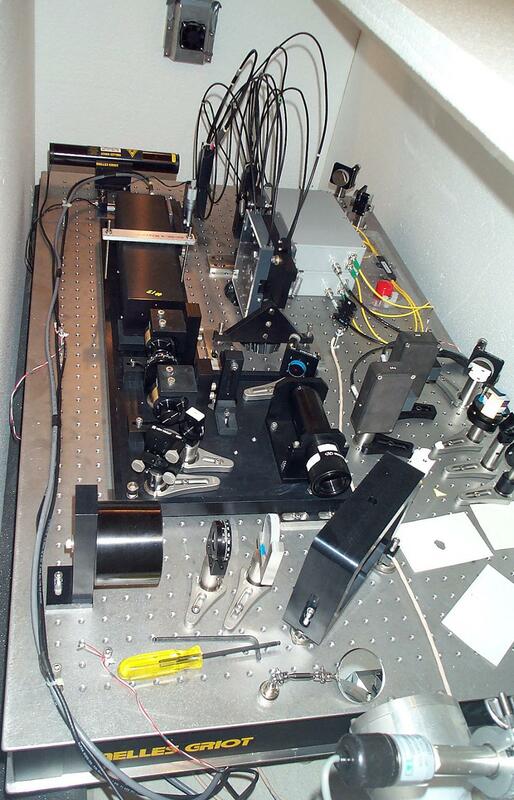 The first long-baseline laser strainmeter installation was completed on June 1, 2005. Since then, the strainmeter has successfully returned data to the Plate Boundary Observatory Data Collection Center located in Boulder, Colorado. 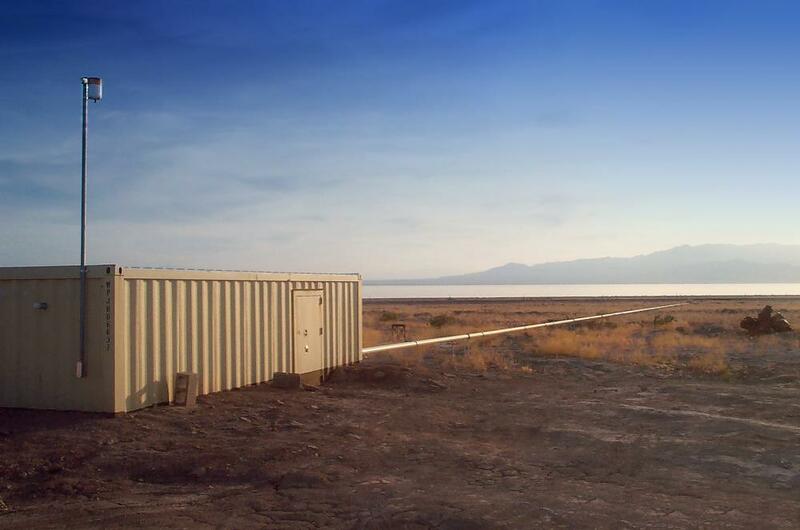 Referred to as DHL2 (for Durmid Hill Laser strainmeter, EW component) this instrument is near the shore of the Salton Sea, located at the southernmost end of the San Andreas Fault. About 50 miles from Palm Springs, this site was chosen because it is a potential nucleation area for a large (M 8) earthquake. Long-baseline laser strainmeters measure the change in distance between two points several hundred meters apart on the Earth’s surface. Laser strainmeters have the high resolution of borehole strainmeters (an instrument that tracks changes across the diameter of a drilled hole) combined with the long-term stability of GPS measurements. The laser strainmeter measures deformation of the ground at the surface, averaging over long distances of 1/4 to 1/2 mile, using an interferometer illuminated by a laser. These instruments are so sensitive that changes in weather, which can cause small ground movements, are recorded as strain measurements. To assure that only tectonic movement is measured, the recorded motions are referred to deep optical anchors where atmospheric effects are small. 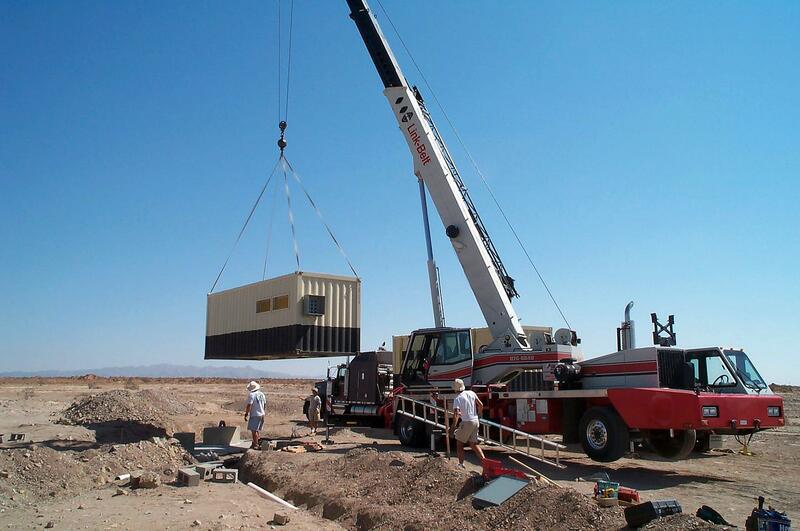 The installation procedures for this instrument are extensive and require the use of major construction equipment along with a meticulous execution plan. In preparation for the instrument installation, crews drill angled holes at the two ends of the strainmeter for installation of optical anchors. These anchors are needed for monitoring the motion of the surface end-monuments relative to the stable materials at (20 m) depth, for correcting any surface-monument instability. Next, crews construct the two end-monuments and end-vaults, and install a 1/4-mile long vacuum pipe, used for isolating the laser beam which is projected between the ends. Finally, the optical systems are installed to measure both the change in length of the strainmeter through the long vacuum pipe, and the monument motions using optical fibers extending into the boreholes. Because many of these installation steps require detailed surveying and special fabrication, construction of the first laser strainmeter was completed in about a year. Construction for a similar instrument installation on the opposite side of the Salton Sea will begin in October 2005; meanwhile, parts for this system are currently being built at UCSD labs in La Jolla, California. By the end of the project, five instruments will be installed, all aiming to track very long-period deformations. Data from the first laser strainmeter will be available to the public soon.